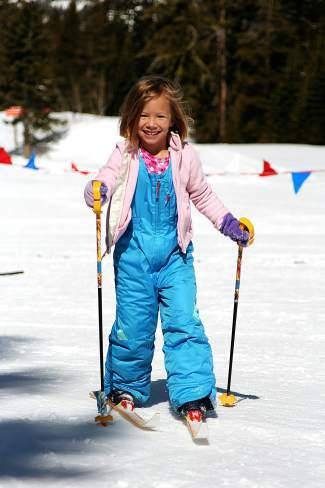 Fun for all ages is a big theme on the groomed trails at Royal Gorge Cross Country, located near Sugar Bowl at Donner Summit. Royal Gorge, North America’s largest cross-country ski resort, opened for the season on Wednesday, offering 19 trails and 17 kilometers of groomed terrain. With recent new snow, Tahoe Donner Cross Country Ski Area in Truckee opened for the 2015-16 season on Nov. 26, on Thanksgiving Day, marking the resort’s earliest opening in recent years. Initial operations include 20 kilometers of terrain, with plans to open more terrain as conditions permit. Beginner terrain open includes Northfork, Pony Express, Lion’s Leap, Meadow Loop and Night Hawk. Intermediate trails open include Sundance, Boothill, Big Dipper and Rough Rider Loop. In Tahoe City, Tahoe XC and the Tahoe City Winter Sports Park opened for the season on Nov. 27. However, both areas closed this Thursday until more snow falls. 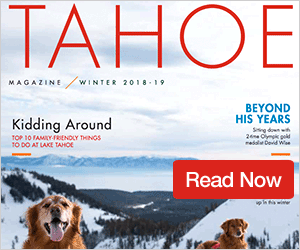 Still, residents and visitors are encouraged to attend the Tahoe Cross Country Ski Area season kick-off party from 5:30-7:30 p.m. Sunday, Dec. 6, at Jake’s on Lake Tahoe, 780 North Lake Blvd., Tahoe City. Cost is $25 for adults, which includes buffet and a special cocktail and $15 for children, which includes buffet and soda. 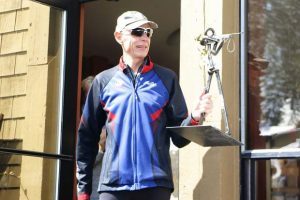 Event proceeds will benefit the ski area. Visit tahoexc.org to learn more. On Nov. 18, the Auburn Ski Club Training Center opened 4 to 5 kilometers of snowmobile-groomed trails for skating, with a single track in some sections, for season-pass holders. Snow conditions will govern if terrain is closed, or if more is opened at the center located off the Interstate-80 Castle Peak exit in Soda Springs. “Skiing at ASC remains pretty dang good, though we’re looking forward to the next storm just as much as anyone,” officials said on the center’s Facebook page Wednesday. Visit auburnskiclub.com to learn more. 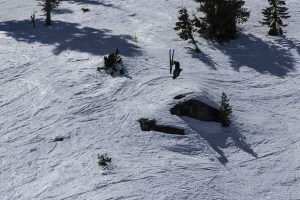 Elsewhere, Kirkwood Mountain Resort south of Lake Tahoe opened its Cross Country and Snowshoe Center last week. Other locations will open as snow allows.